Aren't these decorated eggs beautiful? Made over the last 20 years by NZHMer, Ingrid (Silverworks) and her family. 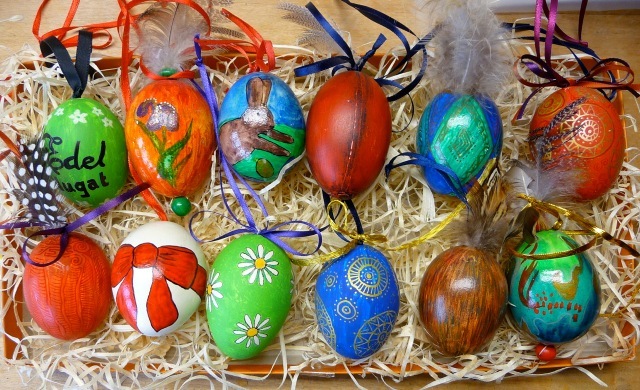 Ingrid is from Germany and every year she sends a decorated egg back home to her parents as well. In the above photo - the left is a replica of a popular chocolate egg Ingrid's son likes, the next one was made by a friend during an egg decorating session she helped organise a few years back, the bottom far right one is from that day too; the rabbit is Ingrid's daughter's from 1994, she also likes to paint daisies! 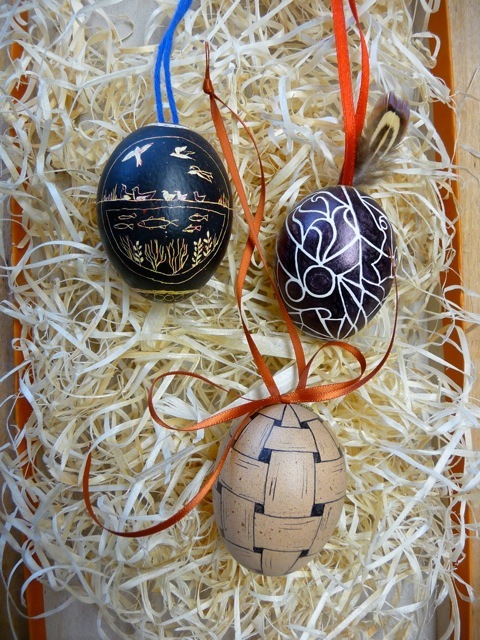 The eggs pictured here have been created in different ways - wax crayons have been put on in layers and scratched away, and black pen has been used on the others. Traditionally the branch with the eggs comes out for Easter Sunday in Ingrid's family along with other Easter rituals. Does your family have a tradition at Easter? What do you do for Easter in your part of the world?